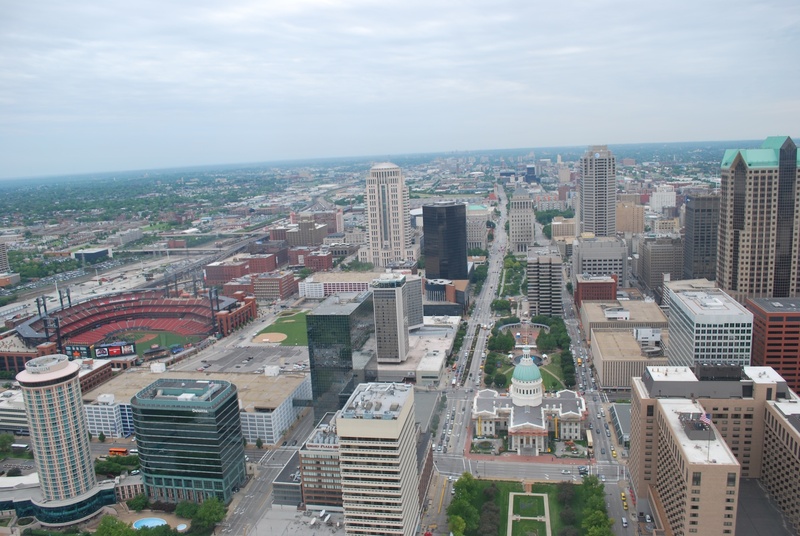 Friday started off with a trip to the Gateway Arch, or more technically speaking, the Jefferson National Expansion Memorial. As I said in my post from yesterday, Victoria’s mom and her friend were stopping in St. Louis on their way back to Wisconsin. 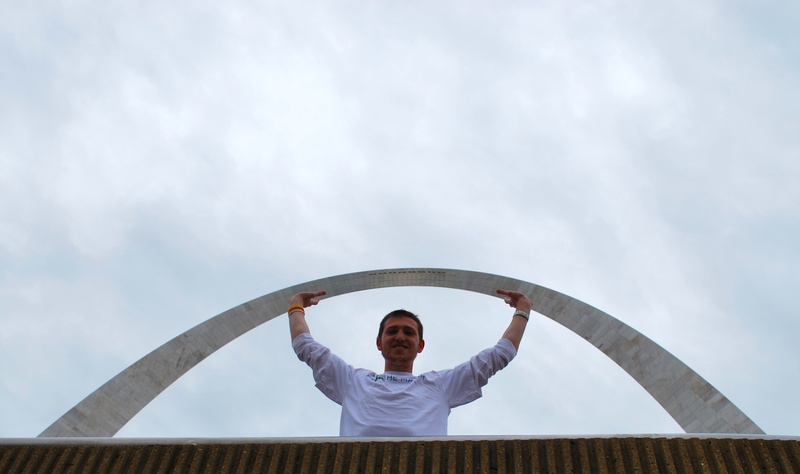 I had been up in the Arch years ago, and I don’t really remember any of it. There is a lot of waiting involved, that’s for sure. We got there around 11:30, and we didn’t get to take the four minute ride to the top until 1:30. There is a lot to look at, and I kept myself occupied. 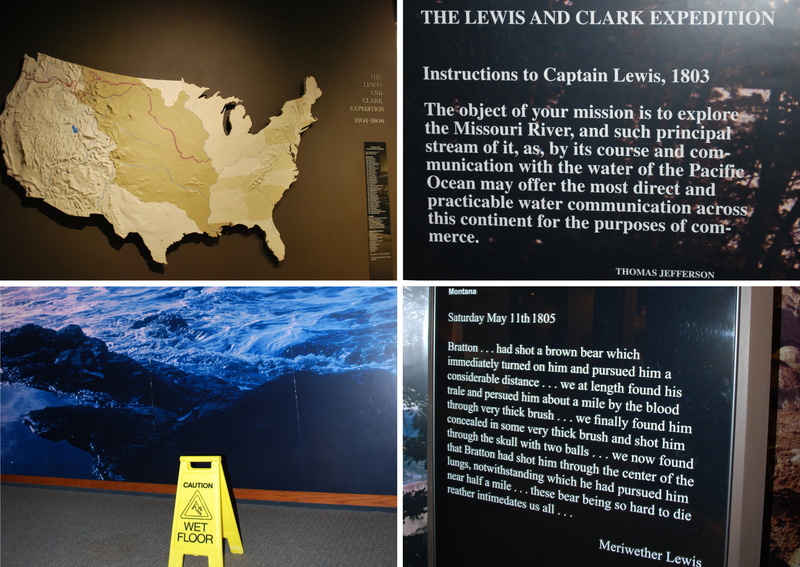 The Museum of Westward Expansion was interesting, which included an exhibit detailing the Lewis and Clark expedition. 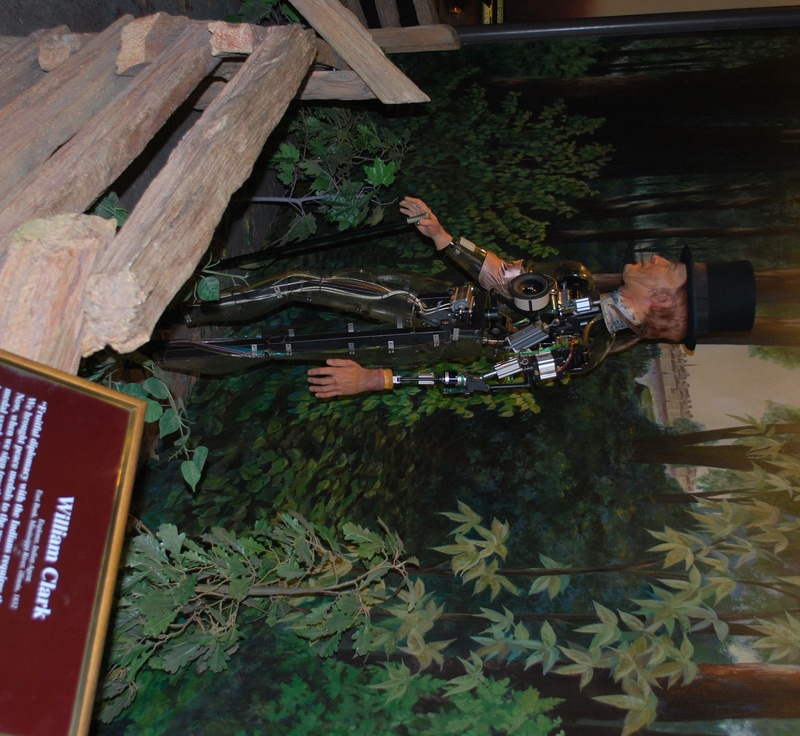 I learned that William Clark was a robot! 1) A map that details the route they took to the Pacific Ocean, which began in St. Louis (obviously). 2) The instructions they received from President Jefferson in 1803. 3) They had these excerpts next to the murals, and I’m pretty sure they are the actual words that Meriwether Lewis had written in his journal. They didn’t correct the spelling or grammar, and I’m glad they didn’t. I think it adds to the authenticity, and makes you appreciate your education. I like this one because of the last sentence regarding him and bears. 4) Getting to the Pacific Ocean was the goal of the expedition, and [Spoiler Alert!] they made it. I thought this was a funny picture because of the wet floor sign. It was a really beautiful photograph, and it was extremely realistic. Who knows, maybe water splashes out of it from time to time, either that or some of the staff wanted to give people like me something to chuckle about. 1) The wall of the exhibit, complete with pictures of American Indians wearing the peace medals. 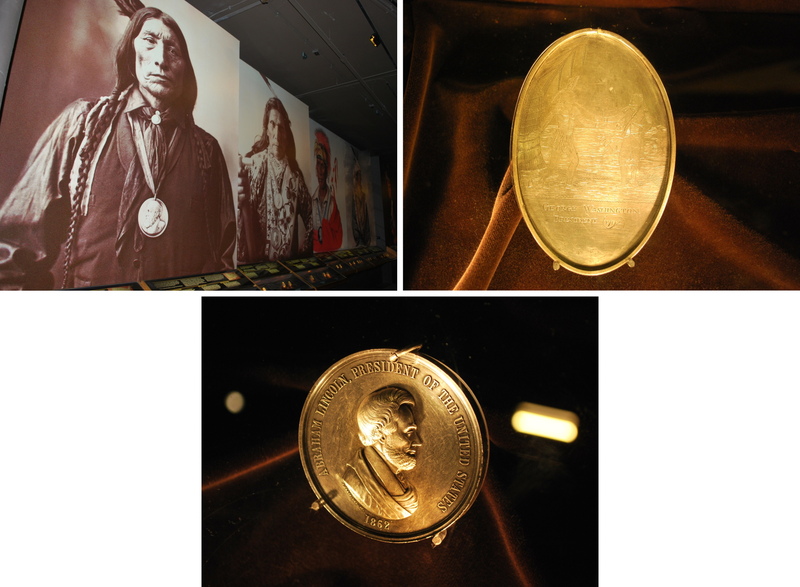 2) The first presidential peace medal (picturing George Washington, and a Native American). The custom of giving out peace medals was adopted from England. The earlier ones, like this one, were all hand engraved, so each one is unique. 3) The peace medal while Lincoln was president. As you can see, using a press creates much more legible and consistent medals. Our ticket was for the 12:55 trip to the top, but that just meant you had the honor of waiting in line for another 30 minutes. We finally got to board the tram, I definitely forgot how small they were. With five adults in one capsule, it gets a little crowded. Luckily it’s only four minutes up and three minutes down. The observation windows at the top are a little small, and make it a difficult to get a good view/picture. I guess it makes sense though, as you can’t make them large enough for people to fit out. If they were large enough, people would find a way to open/break them, and possibly plummet to their death (either purposefully or not). Getting right up to the window gets you a much better view of the city. I must admit it’s pretty cool. 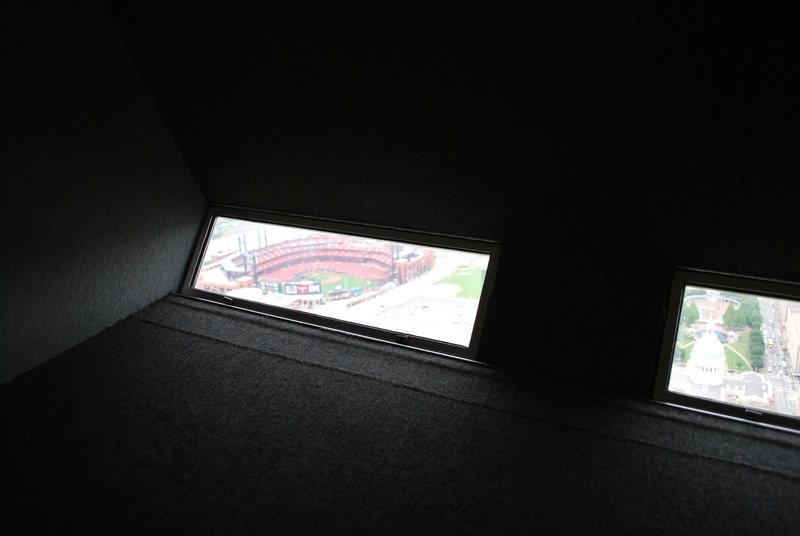 With a decent pair of binoculars I could probably enjoy a game from up there. After taking the tram down, we wanted lunch, but before we left I had Victoria take a picture of me showing off my incredible strength. Don’t ask me how I do it, practice and good form are a good start though. 1) The exterior of the building. 2) The stage where bands play. Victoria told me that in high school she went down to St. Louis for show choir, and parents went with. The bus driver went to the Oyster Bar, and so did Victoria’s mom, as well as another student’s mom. Apparently the two moms wound up on stage with the band (after maybe too much to drink). The bus driver informed the kids as they got back on the bus, which of course was rather embarrassing. 4) My lunch; fried shrimp Po’ Boys and spicy cole slaw. Victoria got the Jambalaya, and I wasn’t too impressed. 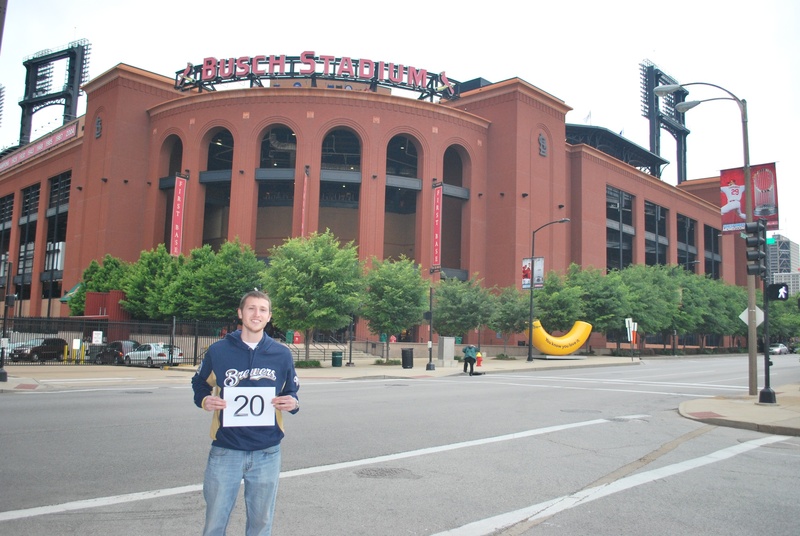 After lunch Victoria and I took a quick walk up to Busch Stadium to get the game number photo out of the way, since we weren’t sure about the weather. 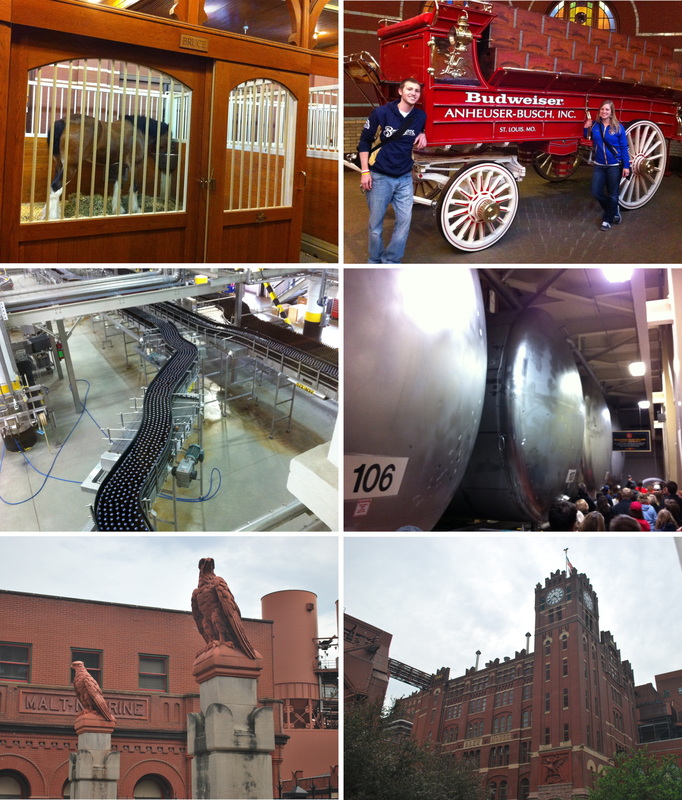 We still had plenty of time before the game, so we decided to go on the Budweiser Tour. Victoria had been on it back in 2010 when she was driving the Wienermobile, but was fine with going again. The tour was free, and we saw/learned some pretty cool stuff. The six part picture below shows some of the stuff we saw. Again, starting top left and going clockwise you have. 1) Bruuuuuuuuce! One of the Clydesdales that they have on site. 2) Victoria and myself (I’m on the left), in front of the Budweiser wagon. I wanted to climb up and sit in the coach seat, but that probably would’ve been frowned upon. 3) The lager tanks, our tour guide said they have 375 on site. Combined, they can hold 20 million gallons. 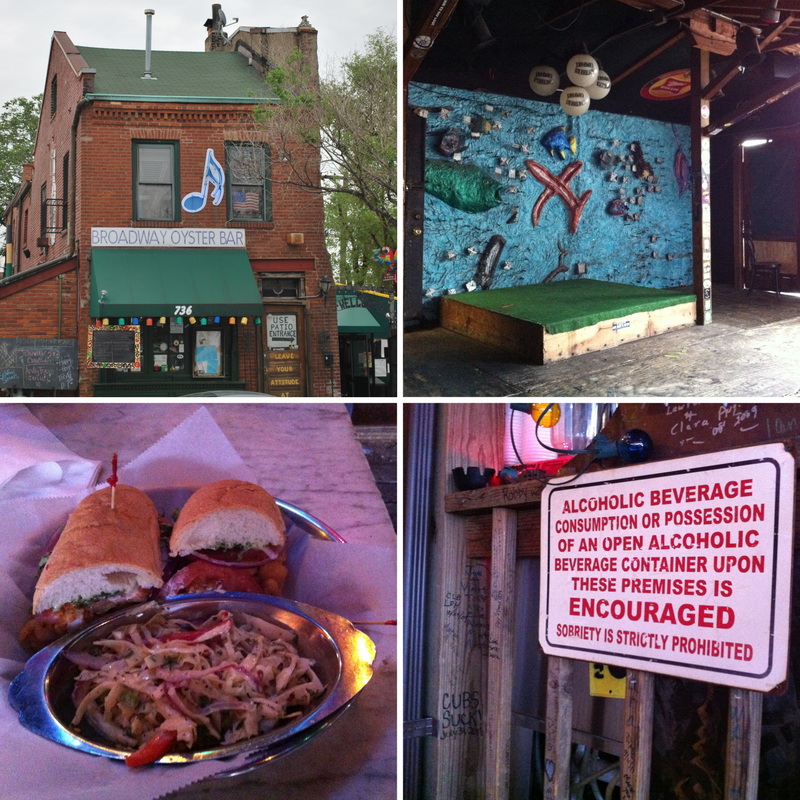 4) The Brew House, with a born on date of 1892. 5) Two eagles perched outside the Brew House. 6) The bottling plant, the tour guide said the plant, operating at full capacity, can bottle 16.5 million 12 ounce servings in a 24 hour period. As for the game itself; the good news was that the Brewers held a 1-0 lead after the first inning. The bad news is that they gave up ten runs over the next two innings, and lost 13-1. It wasn’t pretty, and today’s game cannot start soon enough, for more than one reason. I’d like to get the shellacking out of my memory as soon as possible, and because there’s rain in the forecast starting at 4pm. The game starts at noon, so hopefully there aren’t any issues. Sunday is looking worse, with a 60% chance of rain.